I hadn’t planned a post for today, but last evening two treasures arrived for me and I just couldn’t resist. Look what was in the mail! 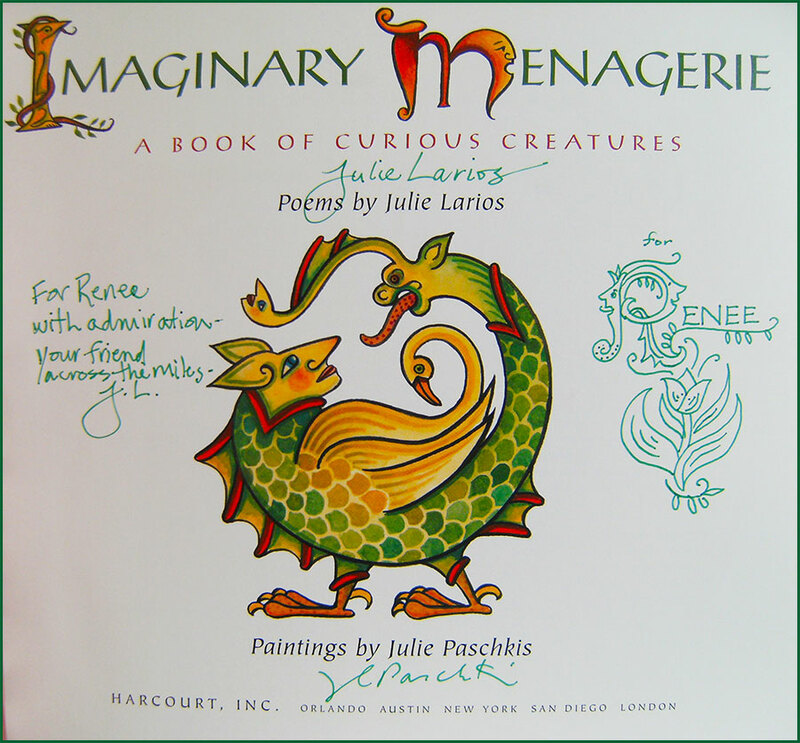 Julie Larios is one of my favorite children’s poets for both the wit and wonder she brings to her work, so I have been coveting these two books for a long time. And what can you say about the shapes and colors and creatures of Julie Paschkis’s paintings besides SIGH. Anyway, these two books constituted our bedtime stories for last night. Of course I ended with the poem “Troll” from Imaginary Menagerie because what good mamma doesn’t tuck her little guys in right after telling them about boy-eating trolls? 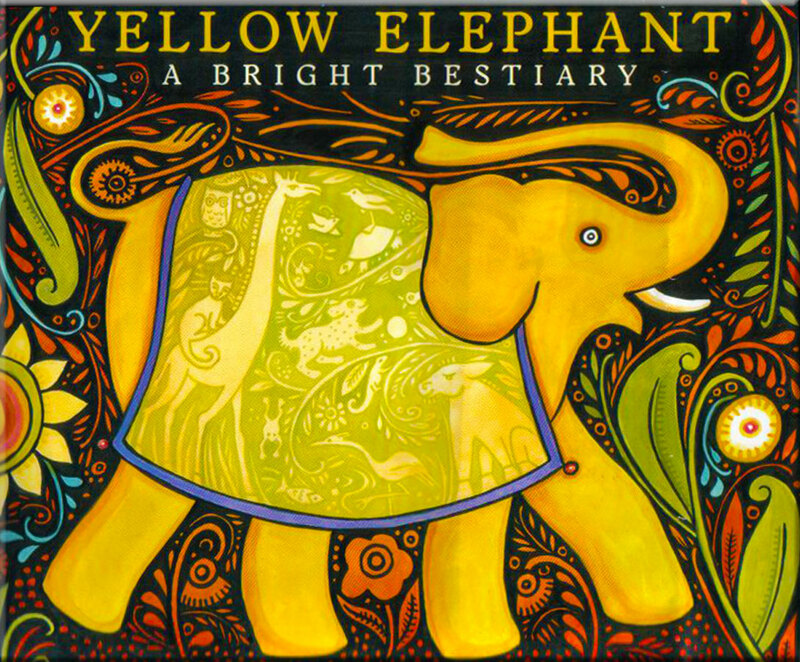 Both Yellow Elephant and Imaginary Menagerie are now available for Kindle! Hie thee thither lest these trolls put you in their melting pot! 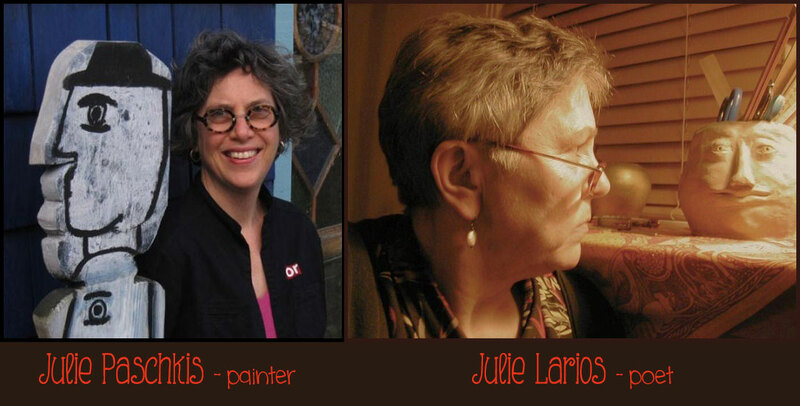 Thank you, Julie and Julie! I will treasure these books! 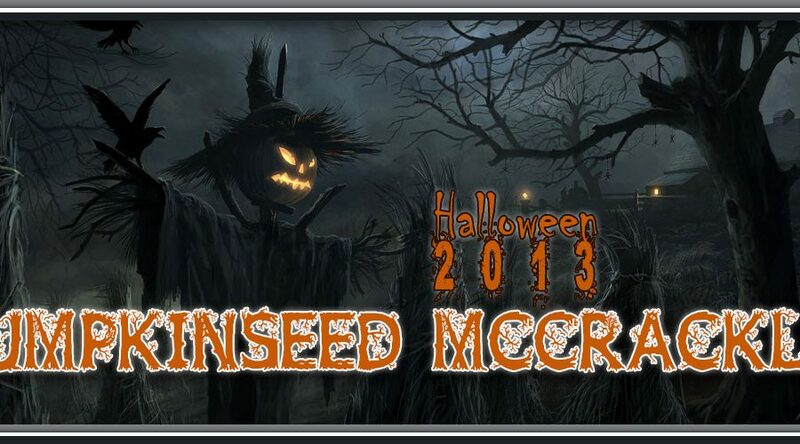 Diane has the roundup over at Random Noodling. “Troll” copyright © Julie Larios. Illustrations © Julie Paschkis. All rights reserved. We love these books too! 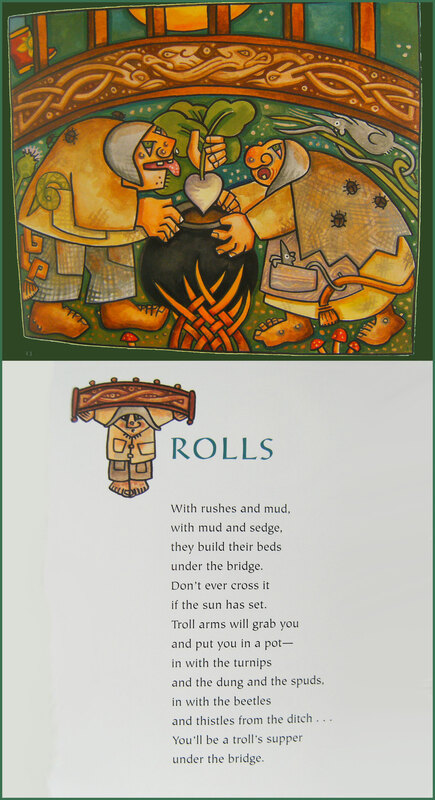 Funny that you mention the TROLLS poem — that was my boys’ favorite! I love Julie’s drawing in your book! So cool! And I love that drawing too! So glad you shared the “Trolls” page! Julie P’s Celtic decorative elements are lovely and delightfully repulsive at the same time! And, the poem, needs no comment other than GREAT! Ooo – look at that title page!! I know! I’m practically jealous of myself! Hooray, the books reached you!!! That didn’t take long, did it? Oh, sometimes it is a great joy to remember that the world is not so very big and there are ways to be friends across the great miles. I find that fact very comforting. Julie P. and I are thrilled to have put those books in your hands – and your boys’ hands, Renee! Yup, they came yesterday, just in time for what would have been a no-post Poetry Friday! It’s true the world isn’t so big, and lucky for me the Internet and Skype make it that much smaller. Thank you so very much to both of you! I’m thrilled to have these lovely tomes in my library! Renee – I just recently read these two books as well except mine weren’t autographed! 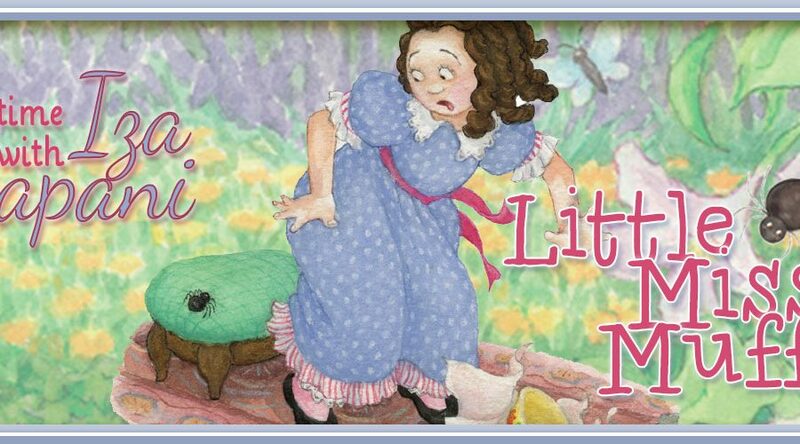 I love Julie Larios and Julie Paschkis’s illustrations are a marvel! Thanks for treasuring the Menagerie and the Beasts. It was a pleasure and a privilege to illustrate these poems. And thank you for the two lovely title page illustrations – so special! From another Julie, thanks for sharing this! Looks like a fabulous book. Sad to say I don’t know these, but will soon, Renee. What treasures indeed, & thanks for doing a post so we can see, too, at least some of the pages, & read that wonderful poem. Thanks to all for this glorious color and troll magic today! What a treat! In addition to the threatening trolls poem and the amazing illustrations, I love the “for Renee” part of the signed page…an illustration just for you, Renee! I love my personal illustration! 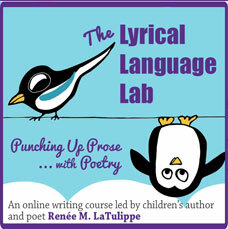 Gorgeous art and fun poem- and what an inscription! I’ll have to add this one to my collection too! I like the bright colors! I”ll have to share the Troll poem w/my son! Beautiful! So glad you put up the post to share your treat with us! Love the troll poem! You are one lucky gal, Renee! Gorgeous books! How colourful. I love the look of these books. They invite you to open them up and dissapear into unknown worlds. Beautiful! I love the signatures and drawing from the author and illustrator. Very special. Hi, Renee. These illustrations are just delicious! 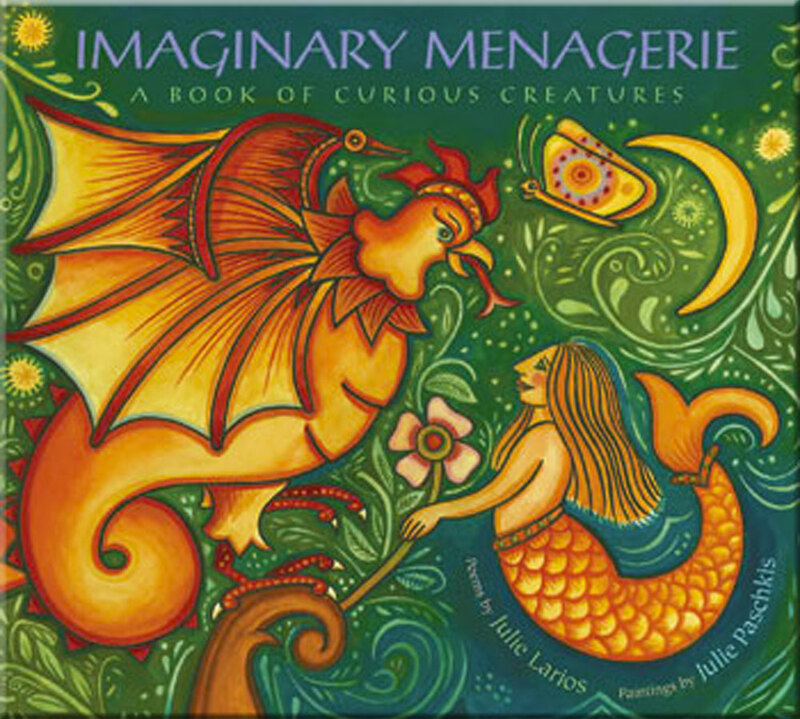 Imaginary Menagerie is the kind of book we used to love to read together when my children were little. Lucky for me, I still get to share books like this when I visit classrooms. I am so fortunate to have a Julie P. painting above my writing desk! Her art is inspiring and lyrical. These books look gorgeous.